Classy with a twist of humor… this high-heel ladies shoe is a conversation piece, if nothing else! 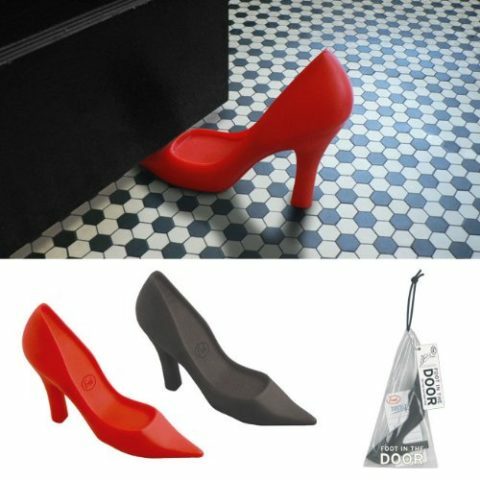 This unique doorstop is a great way to prop open an interior door in your home or office. The best part: It costs less than $10. Makes a great gift, too! Here are 10 more fun doorstops. They’re really unique… and FUN!